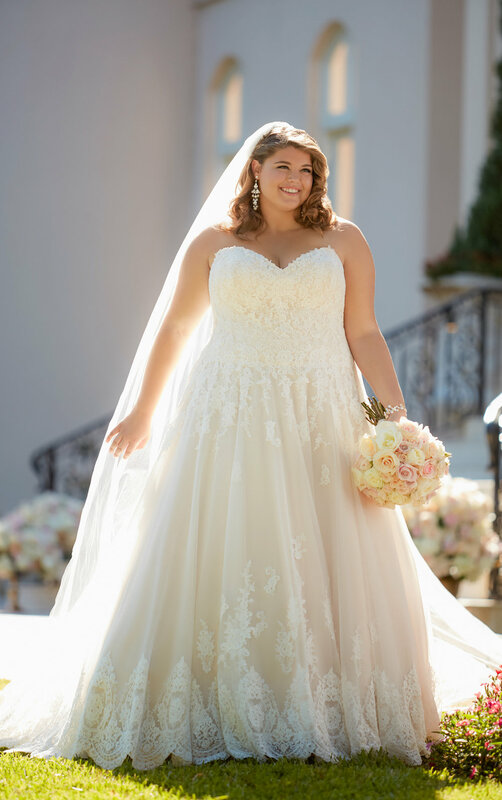 Bon Bon Belle specializes in bridal gowns for everybody, not just specific sizes. 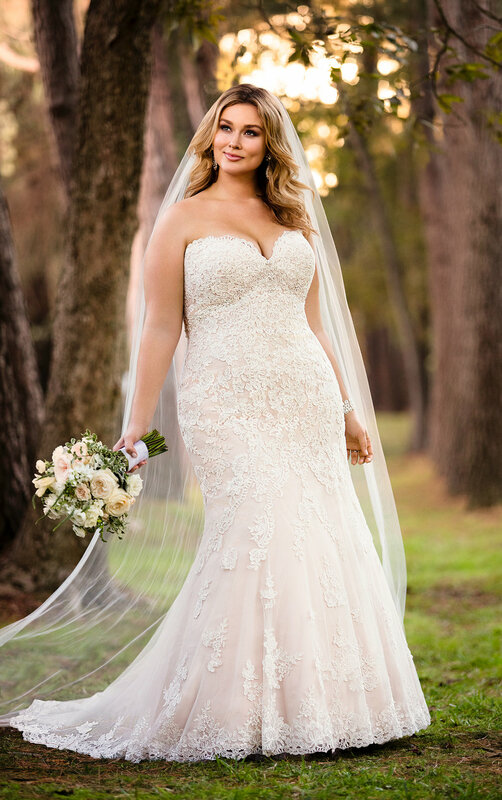 We handpick gowns & styles that complement every size beautifully. We hand pick the styles straight from the runway, with prices ranging from $699-$4000. We work with all of our brides one on one and will make your gown shopping experience relaxed, fun, and easy. If you feel more comfortable checking us out before bringing in your entourage, schedule a meet & greet with Wendy or Lindsay. They will give you a sneak peek at the styles, give you a tour of the store and go through what to expect in advance. We are all about you, and want to ensure that you feel completely taken care of. 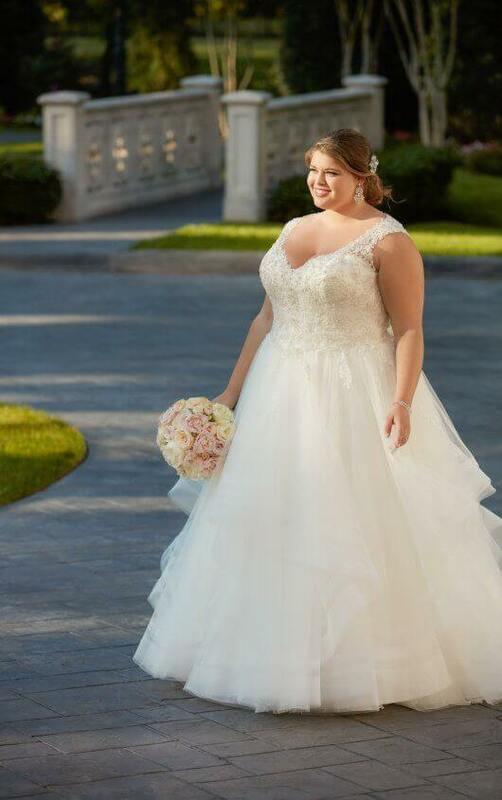 Check out a sneak peek of just a few of our beautiful wedding gowns that we have picked in sizes 18-32. 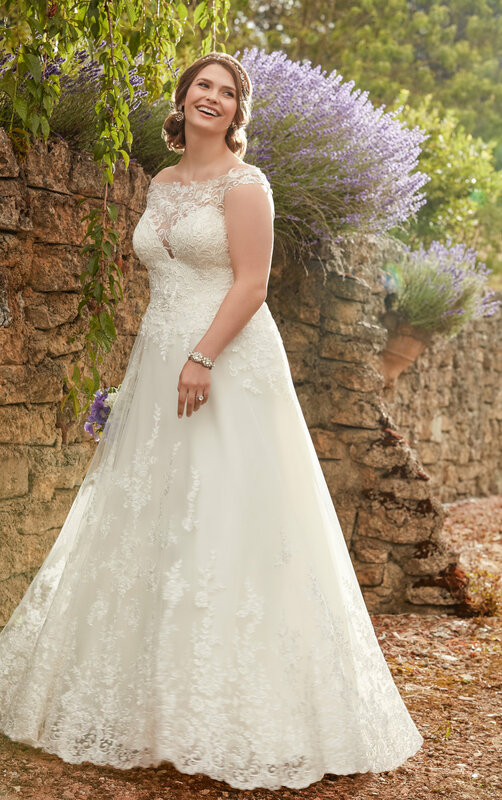 We have over 70 plus size gowns to look at and more will be arriving very soon!